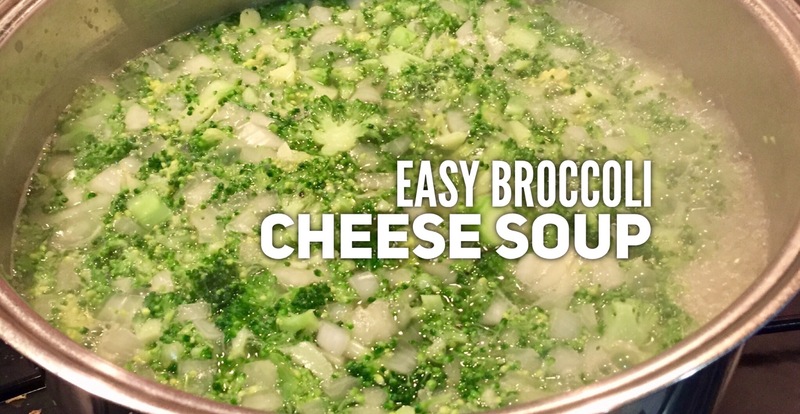 Combine broccoli, onion, water, and bouillon. 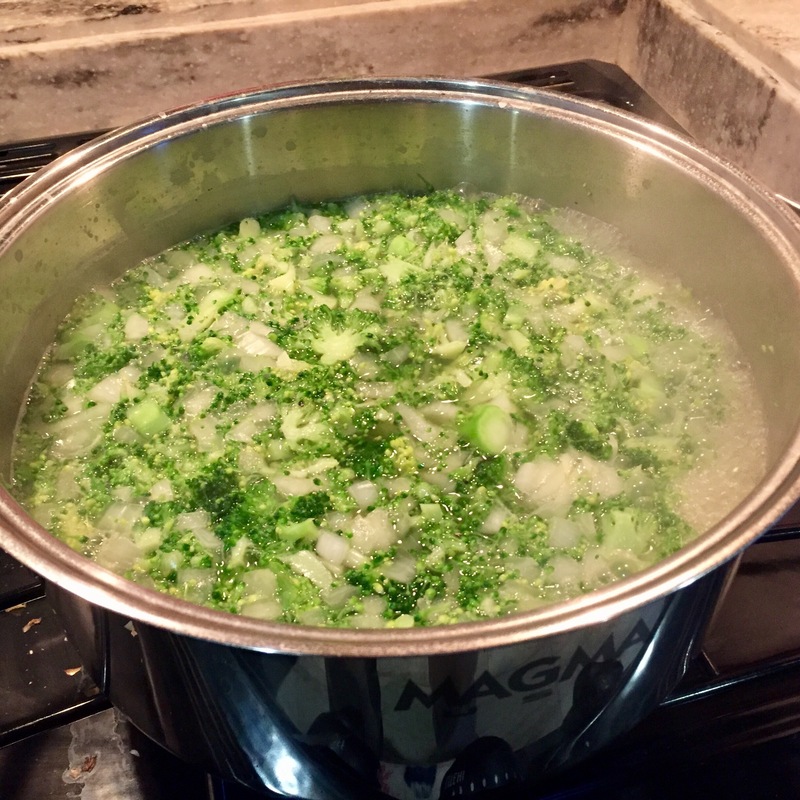 Bring to a boil until onions are translucent and broccoli is tender. Add evaporated milk. 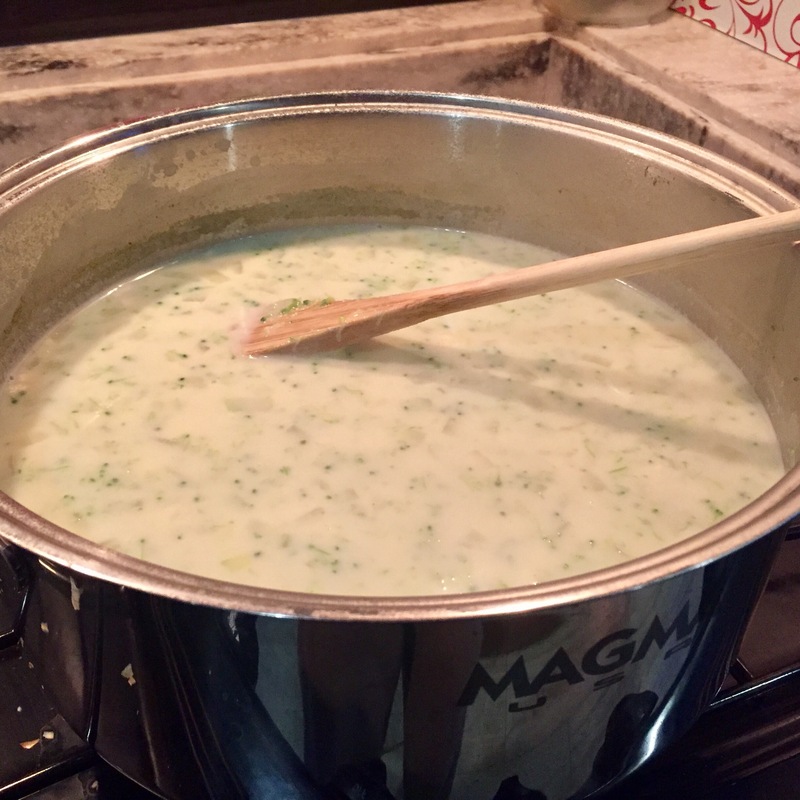 Make a slurry with the milk and flour and add to soup, stirring well. Add cheese, a little at a time, stirring to combine and melt. Add italian seasoning and pepper to taste. Serve hot! This was absolutely delicious, surprisingly quick and easy to make, and great for lunch the next day. 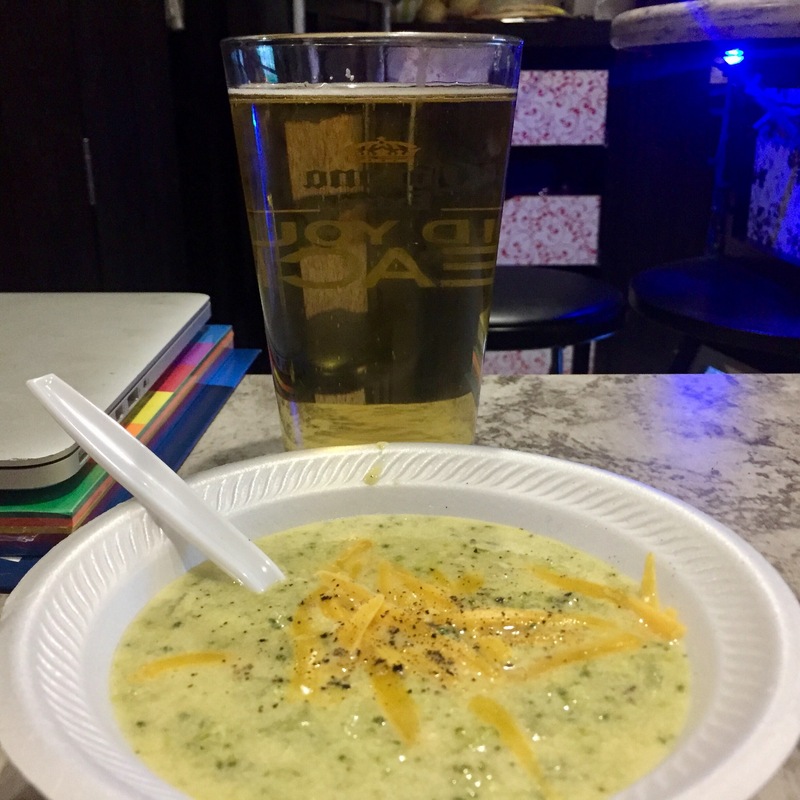 You could easily cut this in half to feed 2 people, but being in Minnesota in January, I made a lot so Allen could have hot soup for lunch also!